What is FLUTD in cats? Feline lower urinary tract disease (FLUTD) describes a group of diseases affecting the bladder and urethra of cats which show similar clinical signs. 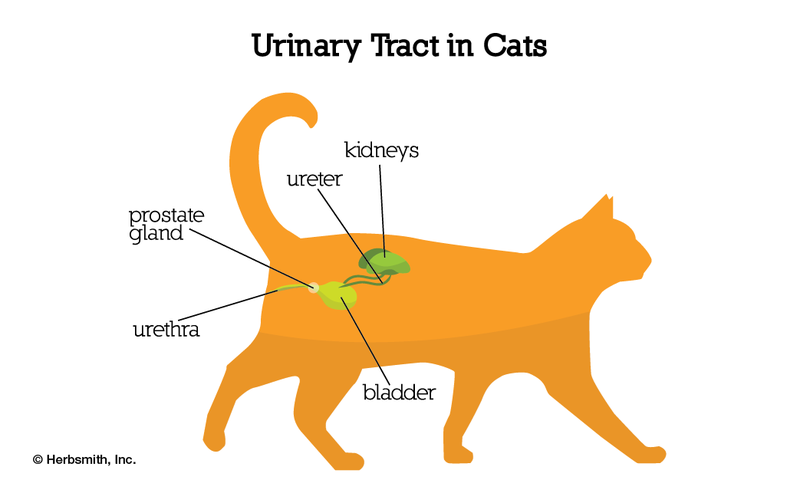 Disorders that affect a cat’s lower urinary system often prevent the bladder from emptying correctly or may cause an obstruction of the urethra, the tube connecting the bladder to the outside of the body. FLUTD is rarely diagnosed in animals younger than one year; the average age is typically four years. FLUTD can affect cats of any age and either gender. However, male cats are generally more prone to urethral blockages because of their narrower urethras. The most common patient with FLUTD is a young adult, neutered male indoor cat. FLUTD is the most common lower urinary tract disorder of domestic cats, and lower urinary tract abnormalities are one of the most common health concerns of cat owners. Bladder biopsies from cats with FLUTD show increased sensory nerves in the bladder, a thickened bladder wall and inflammation. There is also thinning of the protective mucus lining of the inside of the bladder which normally protects against damage from concentrated urine. Unfortunately, since the urinary tract responds to inflammation or trauma in a limited number of ways, the clinical signs are rarely indicative of a particular disease or underlying cause. It is important to realise that the symptoms listed below may represent different diseases with different causes. Urethral Obstruction: When a cat’s urethra becomes partly or totally blocked it becomes a potentially life-threatening condition, as the cat, usually male, is unable to urinate. These blockages are caused by urethral stones or by urethral plugs. 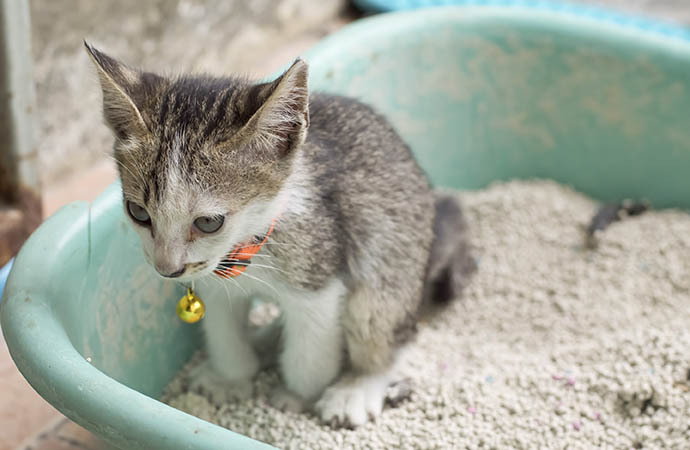 Urolithiasis (urinary stones or bladder stones): These are collections of minerals that form into crystals or stones in the urinary tract of cats. Urethral plugs: These are an accumulation of debris from urine that forms into a soft paste-like material containing minerals, cells, and mucus-like protein. Urinary tract infection (cat UTI): A UTI is an infection of the bladder and/or urethra. UTI’s can occur in cats of all ages but are more common in those ten years and older. Recurrent urinary tract infections can greatly enhance development of FLUTD. Bacteria, fungi, parasites or even viruses can cause infections of your cat’s urinary tract. Cystitis (cat bladder infection): Cystitis, or inflammation of the bladder, can lead to formation of a urethral plug or stones in the bladder. Cystitis is usually caused by a bacterial infection, a mineral imbalance, and/or an abnormality in the cat’s pH levels. This contributes to the formation of microscopic mineral crystals in the urine, which may grow in size to form stones or the grit that causes the urethral plug. The bacteria E. coli, Staphylococcus, and Proteus spp. account for more than half of all cases of bacterial infections of the lower urinary tract. Sterile cystitis / feline interstitial cystitis (FIC): The most commonly identified cause of FLUTD is sterile interstitial cystitis, which has also been termed idiopathic lower urinary tract disease (IFLUTD) because no apparent cause for this serious bladder inflammation can be identified. Diagnosis is made after all diseases that might cause similar signs are ruled out. As FLUTD is not a “disease” per se but a collection of clinical signs, it is a diagnosis of exclusion, meaning that all other possible causes of the cat’s symptoms have been ruled out. It is important to consult the vet if your cat cannot urinate or is having trouble urinating. A male cat should always be attended to immediately because of the risk of a urethral plug forming. A female cat should be seen within 24 hours, or sooner if she is showing additional symptoms such as vomiting and lethargy. 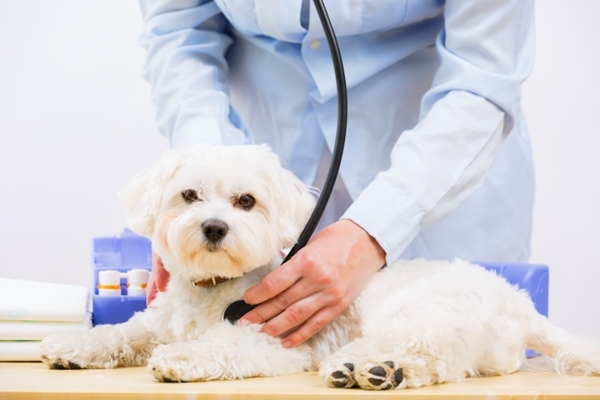 Your veterinarian will take a full history including the onset and nature of the symptoms.  Your vet will also perform a complete physical examination, including digital rectal palpation of the bladder and urethra to assess whether masses or stones are present. The vet will also palpate the cat’s bladder abdominally, to determine whether the cat is able to void urine. Complete blood count (CBC) and serum chemistry profile – results are often normal. Urinalysis (urine test) – a urine sample is removed from the bladder with a syringe to confirm cystitis and/or reveal the presence of pus, blood, proteins, crystals or other abnormalities in the urine. Urine culture – a urine sample is cultured to grow any causative bacteria, which can then be subjected to a sensitivity test for identification. Radiographs (x-rays) and/or ultrasonography of the entire urinary tract (from kidneys to urethra) – this may reveal urinary stones, lesions and urinary tract abnormalities. Other advanced contrast-enhanced cystography-urethrography options are available and can be discussed with the vet. Analysis of a stone or urethral plug to determine its composition. Prognosis for cats with FLUTD depends on whether the diagnosis reveals an underlying and treatable cause, the effects on the liver and kidney function from the disease, duration of the disease and frequency of occurrences. Cat urinary tract infections can usually be resolved without complications once the appropriate antibiotics are administered. However, it is important to identify the cat UTI quickly, as the infection can travel up to kidneys, heart, and other areas, resulting in more severe complications. Symptoms usually resolve within 7 days without treatment where no cause of FLUTD is identified. However, idiopathic cat urinary tract infection usually recurs within 12 months in approximately half of the cats that experience spontaneous remission, and multiple recurrences are possible. 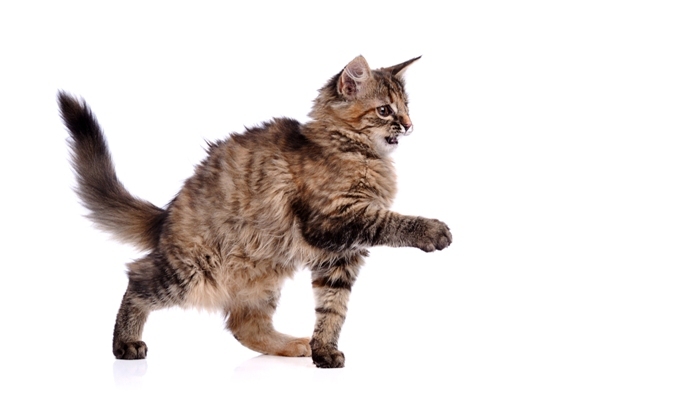 Untreated urinary problems can cause partial or complete obstruction of the urethra, preventing a cat from urinating. This is a medical emergency that can very quickly lead to kidney failure or rupture of the bladder and can prove fatal if the obstruction is not treated right away. Cats with FLUTD may present with mild symptoms or with extremely serious signs that qualify as a true medical emergency.  The vet will assess the degree of discomfort and the seriousness of the situation when deciding which treatment protocols to follow. The goals of treatment are to remove or rule out any obstructions of the urinary tract, relieve pain, restore urine flow, restore fluid and electrolyte balance and reduce stress. The key to successful treatment of FLUTD lies in the vet’s ability to accurately determine any underlying cause. Where a cat urinary tract infection is the underlying cause, often little more than antibiotics are required resolve the problem. In cases of identified bladder obstructions, surgery may be required. Dietary changes may also be implemented to prevent future episodes of stone formation. Unfortunately, more than half of cats with symptoms such as frequent urination and bloody urine will have no identifiable cause despite extensive diagnostic testing. Since optimal treatment of these diseases is specific to the underlying cause, idiopathic cases can be a challenge to treat. Antibiotics for bacterial infections – once the bacteria are identified, suitable antibiotics will be prescribed. This is the most common cat UTI treatment. Other medications – for example, anti-inflammatory drugs, anti-anxiety medication and medication that enhances the protective mucous layer of the bladder. A restricted diet, which is formulated around the particular mineral composition of any plugs, crystals or stones that are retrieved. A wet/canned food only diet, to reduce the concentration of urine, as diluted urine is less likely to irritate the bladder lining. Cats that eat primarily wet food have a reduced incidence of blocked urethra because the concentration of minerals and crystals that form uroliths is reduced. Highly acidic diets are not recommended, because highly acidic urine may increase sensory nerve fibre transmission in the bladder and increase pain perception. 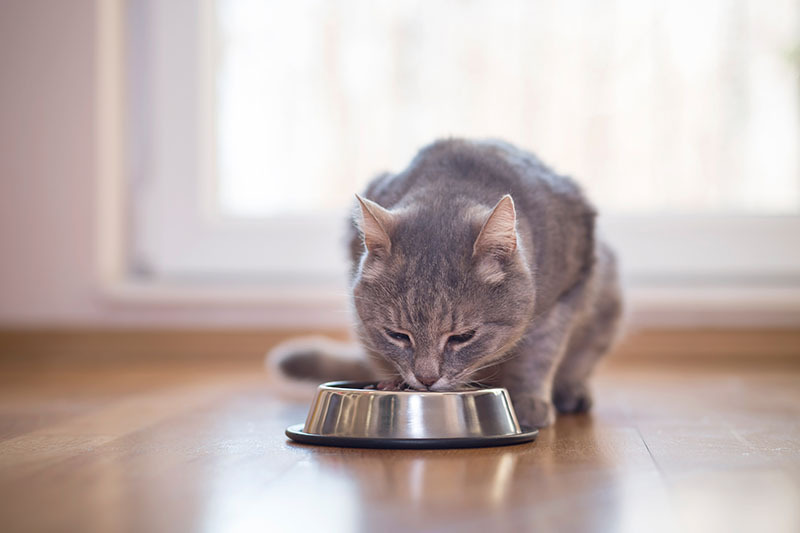 High sodium diets may be prescribed where particular types of stones are present, but are not recommended for cats with renal problems. If the urethra is obstructed, the obstruction must be cleared as quickly as possible. This is a medical emergency that can quickly become life-threatening. A general anaesthetic is required to relieve the obstruction, flush out the urethra and place a tube (catheter) into the bladder to enable urine flow. To help dilute the urine and assist the kidneys in removing waste products, intravenous fluids are usually required. A few days of hospitalisation will be required to ensure the bladder and urethra are working properly following the removal of the blockage. If a cat repeatedly blocks, surgery to enlarge the urethral opening is usually recommended. In some cases, antibiotics and a special prescription food can be used to dissolve the stones. Medical dissolution is an option for struvite uroliths but not for calcium oxalate uroliths. Provide an adequate number of clean litter boxes (the general rule is one more than the number of cats in the household). Good hygiene of litter boxes is essential. Reduce stress where possible. Cats are very sensitive to changes in their environment. A move, a new person or pet in the house, boarding, and conflict with other animals can trigger a stress response. Anti-anxiety medications for more long term control may be prescribed. Provide good quality food and a plentiful supply of fresh, clean water. Obese cats are prone to developing FLUTD, so weight management is important. Adhere to any special dietary requirements recommended by the vet. Diets can reduce risk factors for developing uroliths (stones) but unfortunately do not prevent recurrence, which is common for calcium oxalate stones. Provide places for cats to rest, hide, play and explore safely, for example, window perches, climbing structures, scratching trees. FLUTD, or feline lower urinary tract disease, refers to a group of clinical signs and symptoms seen in cats that together represent a disease syndrome of the urinary tract. Symptoms of FLUTD include frequent or painful urination, bloody urine and frequent licking of the urinary opening. 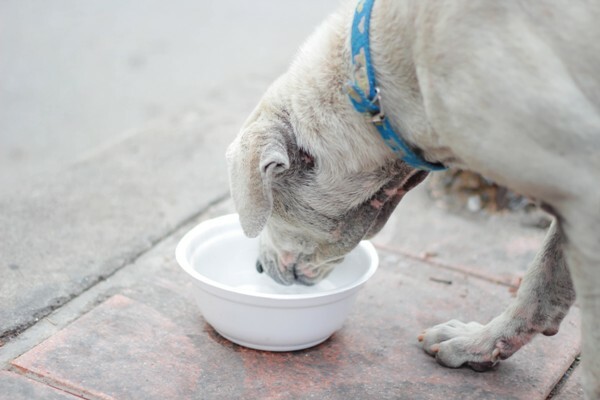 A key element to treating FLUTD is to determine the underlying cause, which may include bladder stones, urinary tract blockage, infection (cat UTI) or even cancer. If the cause cannot be determined, the cat is considered to have idiopathic bladder inflammation (sterile cystitis or feline interstitial cystitis). The most common presentation is a young to middle-aged adult, spayed or neutered, overweight indoor cat with a tendency to inactivity, nervousness and/or aggression. Male cats with FLUTD are prone to developing urethral obstruction, which is an emergency situation requiring immediate veterinary care. If FLUTD is suspected, tests are required to confirm the diagnosis. This usually requires analysis of the urine; x-rays and blood tests may be required to determine if the cat is in a critical or life-threatening situation. Treatment options include medication, dietary modification and surgery to clear an obstruction. Prognosis is variable and depends on a number of factors such as the underlying cause and the duration, frequency and severity of symptoms.